Here's a complete alphabetical list of all the Shark Tank products for all Season Episode's thus far. While a few Shark Tank products are no longer in business, the majority are still around and thriving after being featured on the Shark Tank Show. Most of the products with links you can buy directly from Amazon where you can mix and match multiple items within your shopping cart and save on shipping and handling. 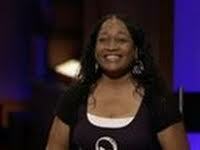 Part 2 of 2 list of Shark Tank Products (M to Z) Located Here. I'm trying to make a suggestion for your show. I have to register. To register, your site requires I type in a picture name. THERE IS NO PICTURE for me to name. Please advise. can i submit an idea and hope someone has the skill and know how to make it? Buy the book "One Simple Idea" go to invention forums and learn how it all works and meet people just like you in the business as well as networking with all in the business of inventing and coming up with new consumer products. Check out sites like Connect, and SBA's in your area. Whatever you do get your idea protected first, read the book One Simple Idea and start there. 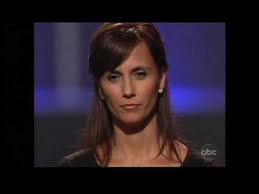 I think that "The Shark Tank" should have "Chris Jenner" as a guest shark. I think there are a lot of good ideas that they pass up on. 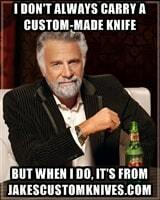 The problem is, is that most people that go on the show aren't closers. Very few are good sales people, but hardly any of the hopeful entrepreneurs are good closers. When they get rejected, you can smell the fear through the television, and see the frustration in their eyes- the sharks may be saying no, but a lot of the times that means, "tell me more", " close me".... Being in sales, I really and truly have a great respect for someone that can close me. It takes me very little time to figure out if I have a big or small interest in something. The smaller the interest, the more closing you need to do and vice versa. They also need to do more homework on their potential prospects. Pull some heartstrings folks! Off topic, but, i dream about Lori Greiner's smile. She's gorgeous and cut-throat, which like doubles her beauty. Hey, where's Emma the Elephant? Yeah, I know, but it was Emma on the broadcast. Boot Illusions transforms from a shoe to a boot and back to a shoe again. No, it's not an illusion, it's a Boot Illusion. Andrew Goodrum and Queenie Davis walked into the Shark Tank seeking a $100,000.00 investment for 30% of the boot business. They don't make the product themselves; instead, Queenie had a dream to go to Turkey to seek a manufacturer. So what does every good Entrepreneur do when they have a dream? They follow it and go to Turkey. Fortunately, Her dream paid off, and she found a company to make the Boot Illusions a reality. 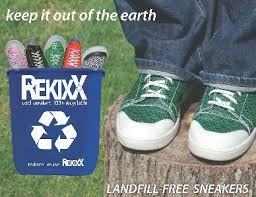 Remyxx/ ReKixx Shark Tank Update100% Recyclable Tennis Shoes From Season 3, Episode 312 Now here's a cool "thinking outside the box" invention we all need to get behind in our recycling efforts. Gary Gagdon the inventor of Remyxx (now known as ReKixx) came up with this idea to make 100% recycled tennis shoe's while in the process of throwing several pairs away. Gagdon took those old shoes out of the trash and began working on a new recycled product that could effect what we all wear in the future. Gary Gagnon came into the Shark Tank with His revolutionary recycled sneaker's seeking a $50,000.00 investment for only 10% equity in the business. When Gary means 100% recyclable, He means just that. Every part of the sneakers can go into the recycling bin and recycled into new products. The Shark Tank Show has featured several successful products originating from High School and College projects, but a new product envisioned for a third grade Invention Convention just might become a new record. Ryan Landis, the inventor of the "HangEase Collapsible Hangers", first got his inspiration to invent a break-away hanger after constantly breaking them from pulling to hard. Landis went right to work creating a working pro-to-type for the Invention Convention impressing all the judges solving this very real problem. Ryan now 20 years old, might also hold another Shark Tank contestant record for being the youngest inventor to pitch the Hang Ease Hangers directly to Walmart. I can't imagine Walmart accepting too many pitches from a 10 year old (Ryan's age at the time), but they did, and he nailed the interview and got an order with the largest retailer in the world. While searching the Shark Tank Season 1 List looking for another incredible Success Story, I found something much different, A successful deal with the Sharks that ends in Failure. How could you give up a majority stake in your business to two Sharks and then watch your invention get taken over by the competition? There's quite a lot to Treasure Chest Pet's Story and Lisa Lloyd's rise to the Top of becoming one of Shark Tank's most successful entrepreneur's, despite her product ending in failure.